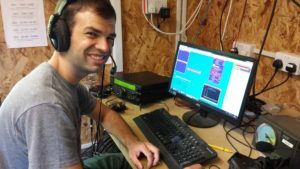 A team of operators manned Woop Woop 3 for the CQWW SSB Contest over the weekend of October 27/28. 2443 contacts were made for a claimed score of just over 2.3M points in the Multi-Single category. The 40m 4-square antenna and the 80m vertical will probably be left up for members to use over the winter. The antennas are shown below: 80m vertical, 40m 4-square, 5 element 15m Yagi on 40ft SCAM, and regular 3 ele SteppIR in distance. 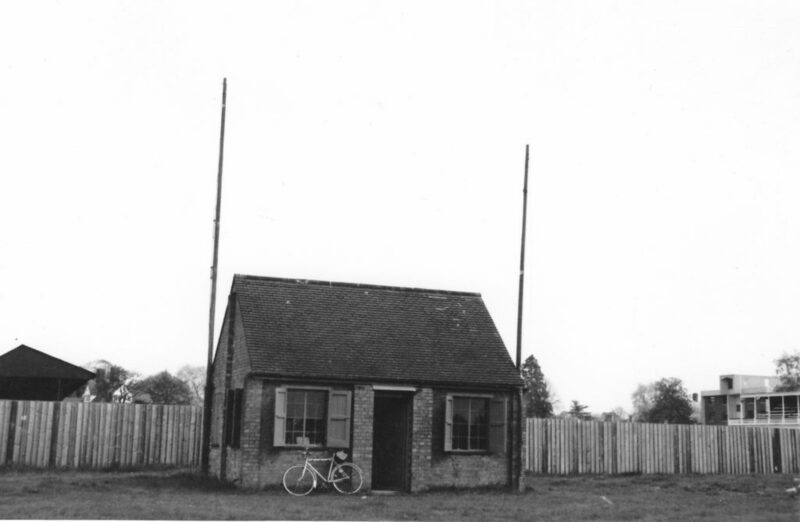 Life Member Rob, G3YZO, operated and brought along this picture of the original Woop Woop building in Grange Road which the club vacated in 1970. It was an ionospheric research lab before it was taken over by CUWS. Note that it wasn’t the first club shack – that was in the Old Cavendish in town. This entry was posted in Uncategorized on 2018-10-29 by Martin Atherton. 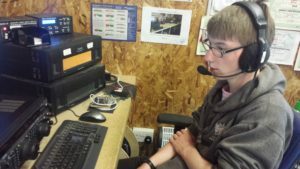 CUWS used the special RSGB Contest Club callsign G6XX on a couple of days during the football World Cup Championship in June. Ops included G3ZAY, M0WUT, M0ZCJ, G7VJR, M/KD2LXA, 2E0FFC, 2E0XSM, M0VFC, M0WJE, M0BLF, and M1BXF. 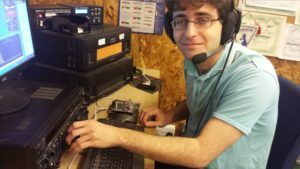 Around 1500 contacts were made with up to 3 stations QRV simultaneously. 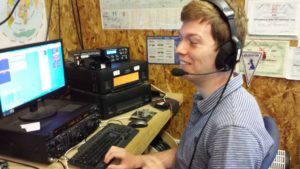 Dom, M/KD2LXA operating as G6XX. 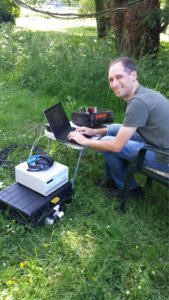 Rob, M0VFC with the third operating position (K3 + Juma amp) on 18MHz. 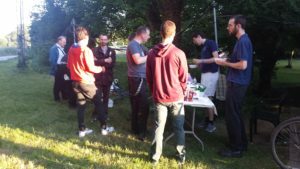 The event finished with the annual CUWS BBQ. This entry was posted in Uncategorized on 2018-09-22 by Martin Atherton. This is a new feature for the website designed to encourage a little competition between members and to see how people are doing chasing new countries. The figures given are worked totals as peoples’ confirmed totals often depend quite greatly on how long they have been active and how much has been invested in direct QSLing. Unless otherwise stated, these figures were correct as of 20th January 2007. Anyone else wishing to be included in the table, please e-mail me your totals and I will include them. I will publish new totals every three months or so depending on interest and activity. *G7VJR’s logging program does not provide individual mode totals. This entry was posted in Uncategorized on 2007-01-21 by .